Although the recommended portfolio splits its allocation with 70% equities/ 30% fixed income, the portfolio can be adjusted to reflect alternative equity/bond allocations. The charts below (click images to enlarge) show portfolio allocations. The accompanying table provides 2017 returns for these portfolios. Note that returns for portfolios holding admiral shares would produce a return enhancement of approximately 0.10% and that a different weighting of international stocks would result in differing returns. The tables below show returns for the Swensen portfolios, using Vanguard investor shares for the asset class selections.¹ The return series begins in 2001, when Vanguard initiated an inflation protected securities fund. The tables below give annual returns, compound returns, and standard deviations for the Swensen portfolios, using returns for Vanguard investor share fund selections.¹ Keep in mind that past performance does not forecast future performance. 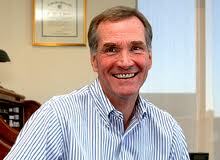 See David Swensen portfolio , google drive spreadsheet for return computations. ¹ The developed market fund selection, VDVIX, has historically been the Tax-Managed International fund until a fund merger in 2013. Over its history, this fund has essentially been offered as an admiral share class so we use the admiral share returns sequence for this allocation.